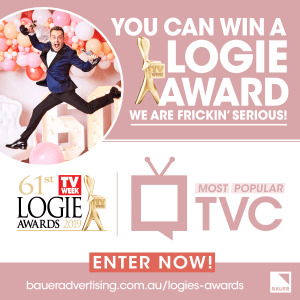 "We’re delighted that Australian TV viewers can now have their say on the commercials that resonate with them in this new TV Week Logie Award." Weaving said agencies have been calling for this award for some time. 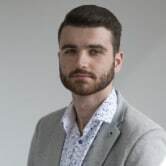 The top 10 ads will be selected by a panel of trade media journalists, including AdNews editor Pippa Chambers, and will be included in the public vote on nowtolove.com.au from 4 March – 31 March, with finalists announced in May. Entries for the Most Popular Television Commercial close on 8 February. Don't forget, The deadline to enter our refreshed AdNews Agency of the Year Awards is fast approaching, so make sure your entries are in by 1 February. The TV Week Logie Awards is set to introduce a new category in 2019 that will recognise "excellence in advertising". New for 2019, the annual TV awards ceremony for the television industry has launched The Most Popular Television Commercial category which will be voted for by the general public, rather than the advertising industry. It will acknowledge "the best, most creative and entertaining" TV commercials produced for Australian audiences. The award is open to any television commercial aired between 1 January 2018 and 31 December 2018 with advertisers, creative, media and content agencies all eligible to enter. Bauer Media will be sponsoring the award. “Australia’s creative industry produces some of the most memorable and entertaining television advertising in the world," Bauer Media CMO Paul Weaving said.